A security home inspection is the best way to confirm the security of your house or apartment. Are you a new home owner? Did you just move into an apartment? Are you confident about the quality of the locks on your doors? Are you certain you are in control over who has operating keys to your dwelling? Let us remove the uncertainty about your door hardware, locks, and keys. We will come to your location and perform a multi-point security inspection to identify vulnerabilities and help you get your location secure. We will check lock function, strike installation, latch operation, and quality of hardware. If you have a safe at the location we will confirm its operation by checking the combination and we will confirm that the safe is bolted to the floor. Both the police and any reputable locksmith will suggest quality deadbolts on all building entry doors. This is one of the first things we will confirm during all building inspections. 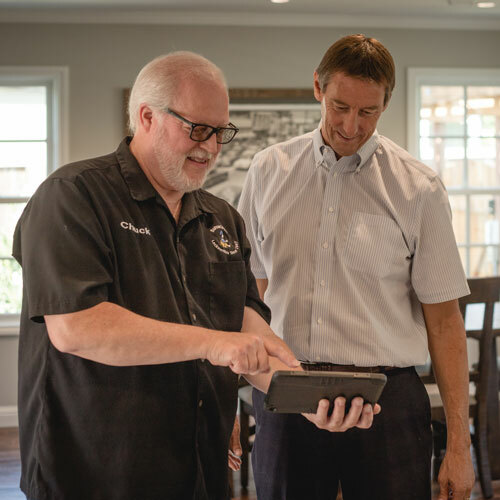 After performing our perimeter inspection, we will identify the items that are most vulnerable and suggest the ways that you can improve your security. If you are interested, we can provide either a verbal or written estimate and proceed to providing the security requested from our findings. 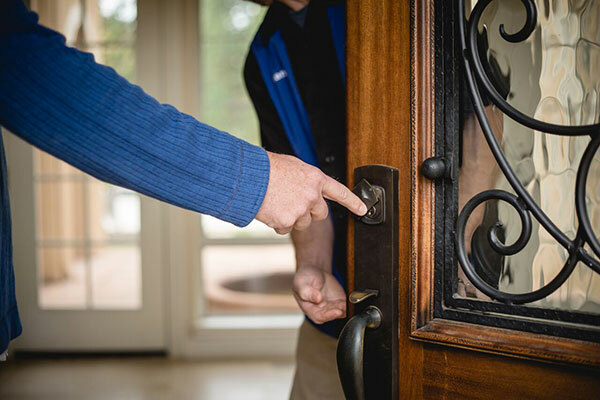 This may consist of strike adjustments, deadbolt installations, hardware upgrades to high security, lock repairs, lock rekeys, safe bolt downs, latch replacements and, even, things like door alignments or hinge adjustments. We will identify items which may need improvement even if they fall under a different profession, like house alarm installations or bush trimming, so bad guys don’t have an easy place to hide. This is your home. This is your refuge. This is your place of safety and peace. Take the guess work out of the safety equation and have us perform a multi-point security inspection so you can sleep better at night. 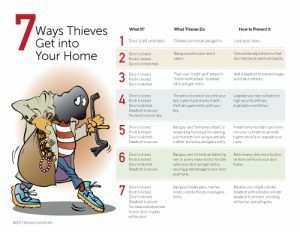 Request and read “7 Ways Thieves Get into Your Home” using the form at right, so you can be better informed. Schedule an inspection today and secure your home before criminals come to your neighborhood. It’s the key to safety and peace of mind.